Your practice, whether you are a physician, dentist, ophthalmologist or what have you, is in constant competition with other healthcare professionals in your local area when it comes to attracting patients online. How can your practice stand out amongst the crowd? When potential patients do not have a recommendation from family or friends on what healthcare professional to use, they typically turn to conduct their own research online. This could entail using anything from the search engines to social media as long as the information they find is trustworthy and extensive. 70% of consumers say that feedback about a product or service they find online is the #2 factor in deciding whether or not to do business with that practice. It is time to ensure your practice is listed in the right places with the most updated, compelling information about your services. Creating a website that’s simple, effective and visually appealing that can act as your main marketing hub for communicating with patients online. Have a website built for your practice that has your marketing goals in mind, while it is being designed and built out. Clearly define its purpose for your practice and build around that direction. A website for your practice should always contain a listing of your location, phone number, and directions. It only needs to be comprised of a few pages that discuss your services, as well as a section dedicated to providing educational content to help your audience understand your expertise, the industry, and various health concerns. The process of creating a website doesn’t have to be an expensive venture, even if you decided to have a designer or agency build it for you. There are also many do it yourself website builders available to help make the process easy and robust. Services like WordPress, Wix, Weebly, Moonfruit, IM Creator, Airsquare, and others can help even a beginner put together an effective website that is easily optimized to help it get found across the web on all devices. Need some one on one help? Our friends at Agency Other can create a great website and marketing campaign for you. Now that you’ve set up a website, it is time to ensure that it is search engine friendly. 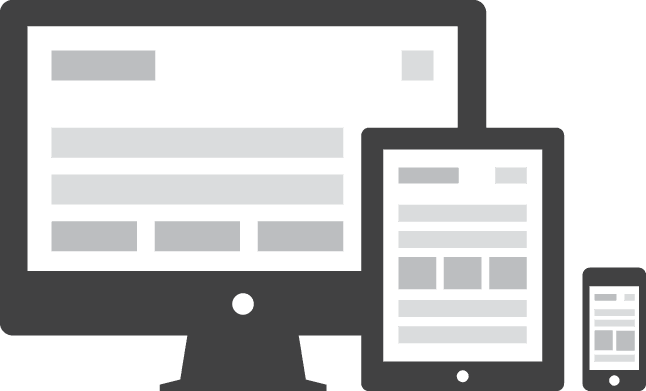 Be sure to discuss this with your web designer or use one of the services above since all of their offerings are search engine friendly templates. At a high level, SEO is broken up into on-page and off-page factors. On-page involves the factors across your website that are under your control, since you own and can manipulate your website. Off-page SEO involves the external factors that are out of control like links to your website or social media success. Regarding on-page, there is a two-step approach for ranking for the right keywords. Add your keywords to your title tags and meta descriptions, while also consistently creating quality content organically includes your keywords. As described in detail in this post, under local search marketing, the title tag and meta description should be clearly and uniquely defined for each page of your website. The title tag is the title of the page that is found in the search engines, and at the top of your web browser, it should be 65 characters max and accurately describe the content of the page using keywords in an organic way. It is important to note that when optimizing for the search engines the user should always be kept in mind over the search engines algorithm. For example, the title tag should be readable and clear for a reader to incite them to click on a page from the search engines and not stuffed with keywords and seemingly robotic. The meta description is the two to three sentence description below the title tag that is seen in the search results page. This description should be no longer than 150 characters and give an overview of what content the page contains as well as an incentive for a user to click to visit your webpage. The meta description isn’t taken into consideration by the algorithm that determines the results of the search engine but is a key factor in driving a user to click on the link to your website. The other important aspect of on-page SEO is content. Consistently creating quality content that educates users is an important way of drawing ongoing traffic to your website overtime. See the next section for more on content marketing as an individual focus. Our friends over at www.quicksprout.com have created a very comprehensive guide to SEO that will teach you everything you need to know. Creating content that educates your audience is beneficial for SEO, driving long-term traffic from the search engines to your website overtime, but most importantly, producing and distributing quality content in the form of blog posts, eBooks, articles and white papers helps give value to readers and build trust between your patients and your practice overtime. By answering these questions on your website, you’ll help give reader insights into the process and associate your practice as an expert on the topic. Many health practitioners don’t have the time, the know-how or are just plain scared to commit a portion of their day to create content that could backfire on them if presented incorrectly. This is an opportunity for your practice to focus on content creation that could help answer the questions people are searching for about their health and your particular focus area that no other healthcare professional is taking the time to address. It is suggested when creating content as a practicing healthcare professional that your content is completely truthful, anonymous if patients are mentioned, clearly addresses expectations, accommodates the differences in laws and regulations of different regions and lastly, reviewed ahead of time by good counsel. To help better optimize the location of your practice for local searches in the search engines, setup a Google+ Page to list your practice locally. Click on local business or place to begin setting up your profile that will soon be discoverable through Google’s search engine and Google+. Begin by listing your practice name, address, website, the category your practice falls under, hours of operation and phone number. Upload any pictures that accurately depict your practice as well. This is where individuals can review your practice for all to see, which with plenty of positive reviews will give your Google+ Page more visibility. If you have many negative reviews, these will also be presented front and center on your page and could negatively affect how your practice is found in search. It goes without saying that bedside manner is as important as ever in the age of the connected revolution. Separate yourself from the rest of the pack by taking pointers from other industries on how to effectively reach your audience. Everyone does some level of competitive research when it comes to their marketing and brand positioning, but if every competitor in the healthcare space is looking at each other for insights, then everyone starts to look and send messaging that seems the same. Take some hints and tips from companies in unrelated industries to get inspiration on how to market your practice in the best way possible. The healthcare industry is more rigid when it comes to its options in terms of brand positioning and marketing initiatives, but it doesn’t mean that the campaigns of others can’t help direct some innovative thinking for your practice. Take a look at the entertainment, manufacturing, retail or other unrelated fields to mine their ideas and then apply them to your circumstances as a healthcare professional. Word of mouth marketing is one of the most powerful techniques for building your network of patients’ overtime, but how can you help your patients build your network for you? Empower your customers to reflect on their experience with your practice by sending online surveys to them after their visit or by having a feedback form on your website. By taking your patients feedback into consideration, you are helping them become a part of the development of your organization, making them feel involved and that their feedback is being heard. By making reasonable changes to your practice based on this feedback, it will help improve the experience at your office for your patients, making them more vocal about their opinions of your services. Create video testimonials of your patient success stories from your most vocal supporters to use on your website. Allowing your patients to sing your praises is a more authentic and successful approach than writing your own marketing messages. Lastly, create a customer referral program that incentives your existing patients to think of your practice and recommend it to both friends, family, and acquaintances. Make it very simple to earn rewards for recommending new patients to your practice because even something as small as a $50 gift card redeemable online will excite people to recommend your practice. There is a lot of buzz around social media, but behind the buzz, there is a true value from this form of marketing because it can drive measurable visibility to your content despite the size of your organization with little to no cost. Setup a Facebook Page, Twitter account and LinkedIn page for your practice and make sure to occasionally update these profiles with your original content and the content from other respected sources as long as it is relevant. Most importantly, include social sharing buttons on your blog and wherever else content is located on your website. This will assist readers who are interested in sharing your content once they’ve read it to quickly and easily share the content across their favorite social channel. There are many different tools available to add social media plugins to your website. For the most part, it is recommended that you include LinkedIn, Twitter, Google+ and Facebook share buttons, but that doesn’t mean other buttons wouldn’t be applicable as well. Some options for social plugins are AddThis, Flare or Digg Digg just to name a few. These social media plugins will help empower your web visitors to share your content across the social web, driving more traffic and more visibility to your practice’s website. Last, but certainly not least, spend time on video marketing to really stand out. Offer testimonials from your customers like discussed above, ensuring that they are genuinely interested in speaking on your behalf to make an effort as effective and authentic as possible. Again, just like the written content being produced for your web properties, your video content must educate your audience about your expertise in the industry. Video is often a lot more effective in demonstrating trust and credibility because seeing a person in real life discussing the issue as opposed to just reading their perspective is more credible. Both approaches are effective, producing a varied amount of video and editorial content is important for the right balance and the different types of web visitors on your site. Henry Ford Hospital is a great example of a medical facility with a strong YouTube channel. It is frequently updated with new videos ranging from discussions with medical experts, staff, former and current patients as well as news updates, informational content and the hospital’s perspective on trending issues. Take note of their approach to video to see how it can be scaled to suit your needs and cater to your audience. Check out additional information on – Why Video is a Must in 2013 for your Healthcare Practice Website. Additional Resources that will help you. What are you doing to help your practice stand out online? I’d love to hear what strategies work and which strategies don’t. Share your thoughts in the comments below. Images courtesy of Log My Calls, John Polacek, Search Engine Land, and OP ED.